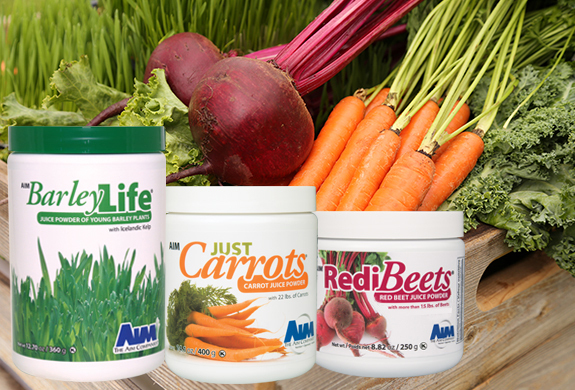 Improve your health with the use of AIM's high-quality dietary supplements and nutritional concentrates. AIM is Nutrition That Works! The AIM Companies specializes in whole-food concentrates and nutritional supplements that improve the quality of people’s lives. With over 30 products in the product line, there is sure to be something for your needs. We found a company that sells the most nutrient-packed juice powders in the world: The AIM Companies™ takes the mess and headache out of juicing! We give all the credit to God for our lifestyle. He put it in our hearts to exercise, eat right and have AIM products as a large part in keeping our family healthy and our bodies in top shape. AIM makes sure that people are satisfied or they get a full refund for what they have spent. In all my years with this company, I have never ceased to be amazed at its goodness toward others as well as its support for business builders like me. The microbiome remains a mystery even with all the recent buzz about its importance. And it is often linked to another word: microbiota. According to the Genetic Science Learning Center at the University of Utah, the microbiota is a “collection or community of microbes” while the microbiome is viewed as “the full collection of genes … Continue reading "AIM for Your Gut"
Inflammation? Doesn’t sound good, does it? Turns out it’s both good and bad. On one hand, good (acute) inflammation is an element of the body’s healing response to infection, toxins and tissue damage. Cut a finger, sprain something or contract a respiratory infection, and the immune system reacts defensively. The resulting pain, swelling, redness, heat, … Continue reading "Both Sides of Inflammation"
AIM Member Nola Nolte has a healthy life motto: exercise to enjoy a better quality of life and no matter what your health and fitness goals are, proper nutrition is essential. Nola, who lives on the mid-north New South Wales coast, competed in the Pan Pacific Masters Games on the Gold Coast last November and … Continue reading "Nola Excels in Pan Pacific Masters"